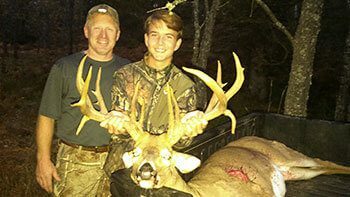 A hunting trip to The Wilderness Reserve will create cherishable memories for a lifetime. Our scenic and challenging 5,500 acre ranch combined with a world-class deer herd, Rocky Mountain elk and upland birds give hunters the opportunity to harvest game in a private, majestic setting. 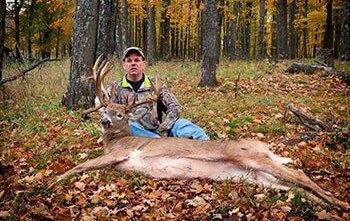 Taking quality photographs to capture your hunt is a great way to preserve your memories of being in the field. 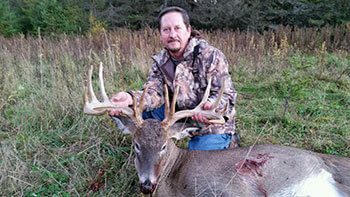 The following guide provides tips to hunters looking to produce quality photos of their hunt. The sun provides the best quality of light following sunrise and just before sunset. The light during this time is softer and warmer than during the middle of the day. Don’t fret over clouds – An overcast day will provide enough light to capture your images while reducing the chance of shadows. Use your flash – Use your flash even during the day. This will fill in the shadows and freeze movement. Make sure your image is in focus. Next to lighting, having a clear focal point that is in focus is the most important part of the image. While cell phones are readily available, they sometimes lack the ability to capture a quality, low-light image. Consider investing in a higher quality camera to carry in your hunting pack. Find a spot with minimal background distractions and debris. Try to remove any backpacks, garbage, animal waste or vehicles from the camera view. If there is a lot of blood, try wiping it away and consider removing the tongue. Since our eyes are drawn to red, blood can distract viewers from the overall image. These techniques will also make the image more acceptable for social media. Have the photographer get down on the ground instead of standing over you. This will produce a more dramatic composition. Squat, kneel or sit behind your animal. Make sure that, like the animal, you’ve cleaned the blood off your hands. If you have blood on your clothing try hiding it behind your trophy. Instead of holding onto the antlers, try propping the animals head up with a rock or log. This will give a more natural pose for the animal. 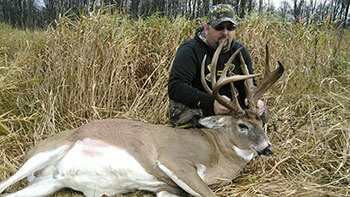 If you are hunting alone, the propping method is a great option. Try to be respectful of the natural beauty of the animal. Try to compose your image so your trophy animal fills as much of the frame as possible. Attempt to take multiple images from several viewpoints. This will give you a variety of images to choose from when you’re done. 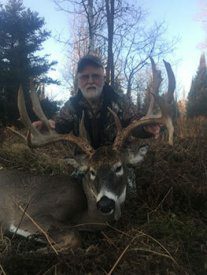 The Wilderness Reserve is a massive 5,500 acre pristine hunting preserve that sits on the borders of Northern Wisconsin and the Upper Peninsula of Michigan. 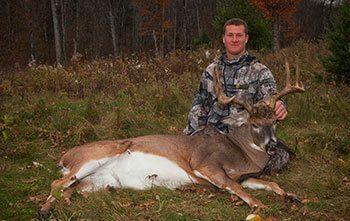 The Wilderness Reserve offers world-class big game hunting in a convenient Midwest location. 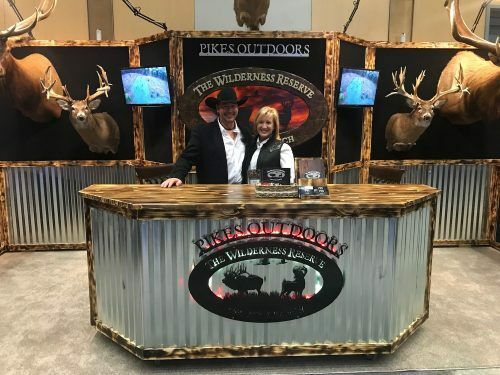 All-inclusive guided hunts for trophy Rocky Mountain elk, whitetail deer, and upland birds are perfect for hunters of any experience level. For more information, contact us today!